The first class of GW’s School of Medicine and Health Sciences (SMHS) Post-Baccalaureate Pre-Medicine certificate program students were welcomed to Campus this week. The one-year program, announced last fall by SMHS, offers candidates the opportunity to build a strong foundation towards a new and rewarding career in medicine. 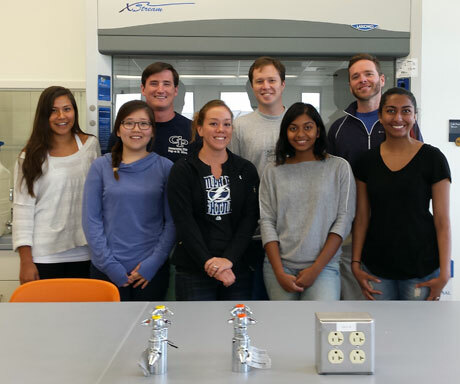 Students in the program will use the recently completed chemistry, biology and physics teaching labs, a construction project valued at more than $3 million. The new teaching labs will allow for expansion of additional health science programs on Campus, including bioinformatics and medical lab sciences. Additional construction projects are underway on Campus. This construction project expands VSTC’s available classroom inventory with 7,000 square feet of laboratory and support space. One of the three new labs will be used for organic chemistry/chemistry and the other two are equipped for chemistry, biology and physics. 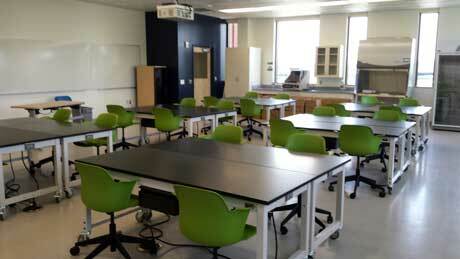 Each of the three labs accommodates 24 students. There is also support space near the labs to accommodate faculty and student needs, including a fume hood room, prep room, a glass wash/refrigeration room and storage. The new labs were built out on the second floor of VSTC’s newest building, Discovery Hall, with funding from SMHS, the Division of Operations and VSTC. Discovery Hall is the three-story section of the building where the new labs are located, which was previously referred to as the academic incubation facility or part of the Conservation and Collections Resource Center (CCRC). Discovery Hall contains 21,000 square feet and is connected with a common lobby to the separate one-story 23,000 square foot building currently known as CCRC. The CCRC is a state of the art support facility for The Textile Museum collections, GW's fine art collection, and the Albert H. Small Washingtoniana collection, comprising historic documents and maps related to the founding of Washington, D.C. Campus signage is being updated to reflect the new name. Across GW Boulevard construction has been underway for several weeks in Innovation Hall on a third Skills and Simulation Laboratory for the School of Nursing’s students and should be completed in July. The new lab, located on the third floor, features an eight bed ward, two private rooms, a control/viewing room, small conference room, large conference room and team meeting spaces. 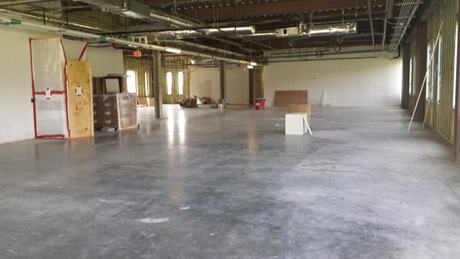 Across the hall will be two storage spaces, work space for the lab supervisor and a student "locker" room. 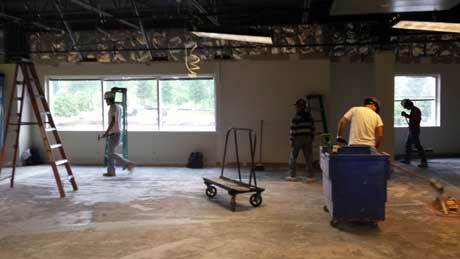 The new Skills and Simluation Lab under construction in Innovation Hall. The student lounge on the first floor of Innovation Hall has been recently renovated and new furniture installed. Additionally, new student lounge space has been created in the common lobby area between Discovery Hall and CCRC, in anticipation of increased building traffic. GW’s continued investment in construction projects on Campus reflects strong programmatic growth in nursing and health science programs and plans for additional strategic expansion.